When the sorority sisters of the Alpha Upsilon house decide to go green and use an old well as their water source, they unwittingly awaken a pint-sized, green-clad monster. The Leprechaun wants a pot of gold buried near the sorority house, but first he must recover his powers with a killing spree — and only the girls of AU can stop him. Leprechaun Returns is directed by Astron-6’s Steven Kostanski (The Void, ABCs of Death 2) from a screenplay written by Suzanne Keilly (Ash vs Evil Dead, Dallas & Robo). Starring in the movie is Taylor Spreitler (Kevin Can Wait, Amityville: The Awakening), Pepi Sonuga (Ash vs Evil Dead, Under the Silver Lake), Sai Bennett (Mr Selfridge, Lake Placid: Legacy), Emily Reid (End of Term), Oliver Llewellyn-Jenkins (Doctors), and Ben McGregor (The Machine). Also starring is Linden Porco, who takes over as the new leprechaun. Willow star Warwick Davis played the character for six of the seven previous movies. His leprechaun went all over the place after that first introductory movie, including Vegas, the hood, to outer space, and even back 2 tha hood. The first time Davis didn’t play the character was 2014’s Leprechaun: Origins, in which Dylan Postl (WWE’s Hornswoggle) took over the title role. 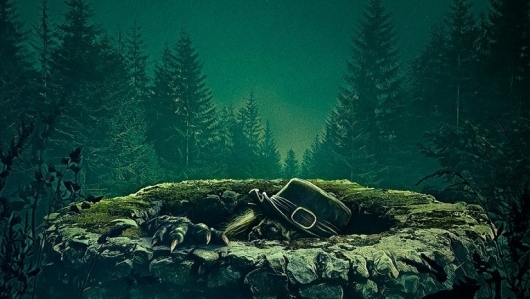 Leprechaun Returns is being released by Lionsgate on digital and video on demand on December 11th.